The three inch PVS-IS3-2 PVC vent screen set includes two durable PVS-IS3 insect and rodent vent screens, internal wire clips and installation instructions. The screens are a made of high quality 316 stainless steel and utilize an 18×18 mesh to for both animal and insect control. These screens are well suited for horizontal PVC intake and exhaust vents used by high efficiency furnaces, hot water heaters and boilers. 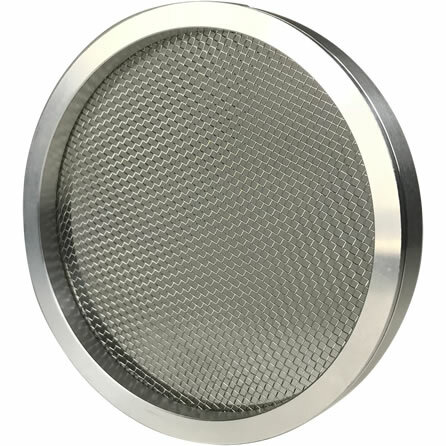 Fitment: The PVS-IS3 vent screen set is designed to install inside 3″ PVC vent termination hubs and couplings having a 3-1/2″ inside diameter. 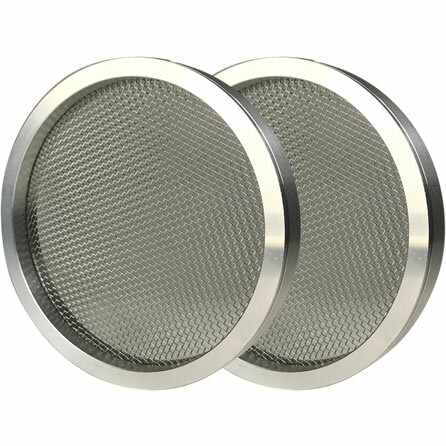 Enjoy the peace of mind and high efficiency appliance protection that comes from using our three inch PVS-IS3-2 insect and rodent vent screen set. This set of PVC vent screens includes two PVS-IS3 screens that are installed easily into any 3″ PVC elbow/hub using the supplied 304 stainless steel internal wire clips. 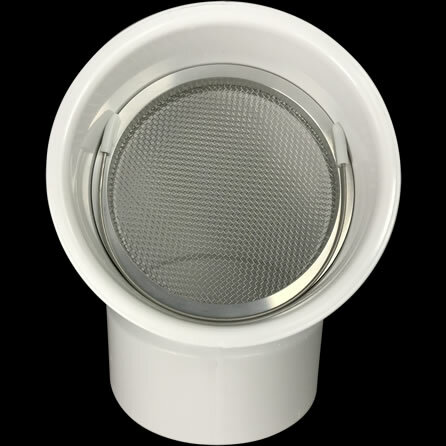 Each PVS-IS3 is made with a high-quality and durable 316 stainless steel woven wire screen mesh that is encased in a lightweight aerospace grade 6061-T6 aluminum shell. When secured in the operating position with the included 304 stainless steel wire clips, there is no need to buy caulk or use fasteners that would damage the PVC. Our internal wire clips are easily installed in under a minute and can be removed just as effortlessly – without damaging the PVC pipes. Our PVS-IS3 vent screens are unique in that they maintain a 70% rate of airflow. Unlike plastic rodent only vent protection products, which often restrict 40%+ airflow, each PVS-IS3 in this set will also guard against intrusion by insects in addition to keeping animals outside of homes. Many individuals choose to use these insect screens during spring, summer and fall then switch to the PVS-RS3 during winter when freezing temperatures and snow may cause vent icing concerns that could potentially result in an unwanted furnace lockout. The PVS-IS3 is the most versatile PVC vent guard available and is used by professional plumbers, HVAC technicians and pest control specialists as its rated airflow offers optimum compatibility with horizontally vented condensing furnaces, power vent hot water heaters and boilers. The PVS-IS3-2 set includes two PVS-IS3 PVC vent screens, two stainless steel internal wire clips and installation instructions. Please view the specifications tab above for additional dimensional data. If sizing assistance is needed, please visit our vent screen fitment guide for additional information (including photographs and video).